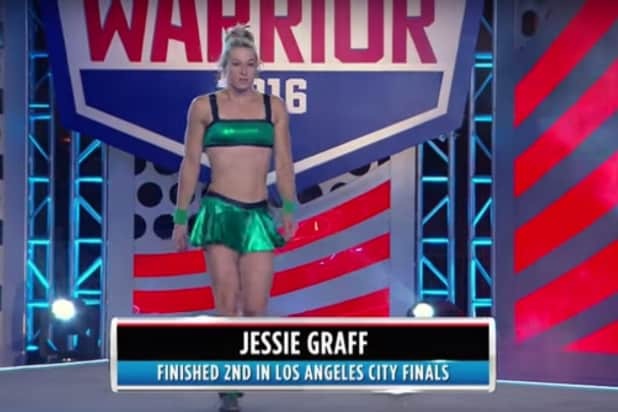 “Supergirl” stuntwoman Jessie Graff made “American Ninja Warrior” history last night, pushing NBC to the top of primetime in the process. Last night, Graff became the first woman to complete Stage 1 of the national finals, beating the near-impossible obstacle course with 12 seconds to spare. For TV ratings runner-up ABC, “Bachelor in Paradise” reached a season high in total viewers. NBC was first in ratings with a 1.7 rating/6 share in the advertiser-coveted 18-49 demographic and in total viewers with an average of 6 million, according to preliminary numbers. “Ninja Warrior” at 8 p.m. ET earned a 1.9/7 and 6.9 million viewers. At 10, “Running Wild With Bear Grylls” posted a 1.4/5 and 4.3 million viewers. ABC was second in ratings with a 1.3/5 and in viewers with 4.6 million. “Bachelor in Paradise” at 8 p.m. ET put up a 1.6/6 and 5.4 million viewers. “Mistresses” at 10 received a 0.6/2 and 2.8 million viewers. CBS, Fox and Univision tied for third in ratings, each with a 0.7. CBS had a 3 share, Fox and Univision got a 2. CBS was third in total viewers with 4.1 million; Fox was fourth with 2.5 million viewers; Univision was fifth with 2 million. CBS aired all reruns, while Fox ran just a live “So You Think You Can Dance” for two hours. The CW was seventh in ratings with a 0.3/1 and in viewers with 1.3 million, airing only reruns. Teyana Taylor is more than a music video vixen -- here's what you need to know about the "Fade" star everyone is talking about. For starters, Taylor makes her own music -- now on Kanye West's GOOD Music label. That wasn't her first deal, however. Prior to GOOD, Taylor was signed to Pharrell Williams' Star Trak Entertainment. The two reportedly remain on good terms. That said, "Fade" isn't Taylor's first music video. In 2007, she appeared in Jay Z's "Blue Magic," dancing and popping. Taylor has two albums out: 2014's "VII" and the following year's "The Cassette Tape 1994." No word yet on if West will "Flashdance" for her. The sometimes-model even has a sneaker deal with Adidas. Her first pair became the fastest selling Originals in shoe company history. Also an actress, Taylor has appeared in "Madea's Big Happy Family" and "Stomp the Yard 2," among other flicks. Taylor made her first national TV appearance on MTV's "My Super Sweet 16" in 2007. So, the money's nothing new. Clearly all-growns-up now, Taylor is engaged to Cleveland Cavaliers player Iman Shumpert. Here the two are pictured together. The popular Taylor has 1.1 million Twitter followers, where she describes herself as a "wife, mother, singer, dancer, actor." 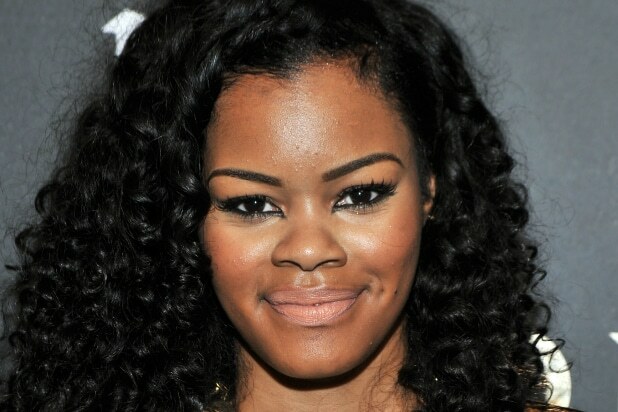 What's next for Teyana Taylor? The world, apparently, if her recent momentum is any indication.